From 11 March 2016, Airlink will provide direct flights between Cape Town and Maun (Botswana). The combination of Airlink’s new direct Cape Town – Maun service with Airlink’s other services Johannesburg – Maun, Johannesburg – Kasane, Livingstone – Nelspruit/Kruger and Nelspruit/Kruger – Cape Town and Skukuza – Cape Town, will provide the global leisure tour product industry with a complete fully flexible integrated travel circuit, from which to structure their guest’s itineraries. Airlink’s direct flights will assure travellers the opportunity to minimise time spent in transit and maximise their time spent at the various world renowned tourism destinations, which South Africa promotes so successfully to the global travel market. 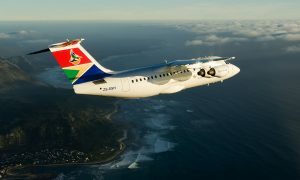 Additionally the inclusion of short Airlink ‘lodge link’ flights will allow travellers the opportunity to connect directly to the well-known bush lodges of the Sabi Sands thanks to connections which operate between Airlink’s iconic Skukuza airport and the Nelspruit/Kruger gateway to the lodges. Travellers are also able to take advantage of the opportunity to include a Mozambican beach holiday at Bazaruto or Benguerra Island with Airlink’s Nelspruit/Kruger – Vilanculos in their itinerary. 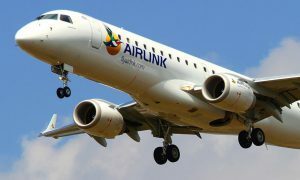 Airlink will initially operate the Cape Town Maun service using one of its 18 Embraer ERJ 135, 37 seat regional jets. Capacity will in time be increased using one of Airlink’s 12 Avro RJ85 83 seat regional quad jets, in line with market demand. The direct Airlink Cape Town – Maun flights will depart Cape Town 10h35 arrive in Maun 13h05 and return from Maun 13h35 arriving Cape Town 16h10. Flights will initially operate Monday, Wednesday, Friday, Saturday and Sunday. 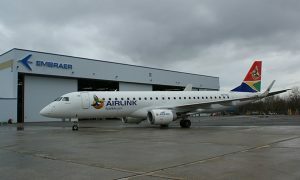 Airlink’s believes that the opening up of the Cape Town – Maun route is yet another step to providing a globally competitive leisure travel option with unparalleled ease of access and seamless integration with Airlink’s network of flights, its franchise partner airline SAA and the global Star Alliance network of carriers.